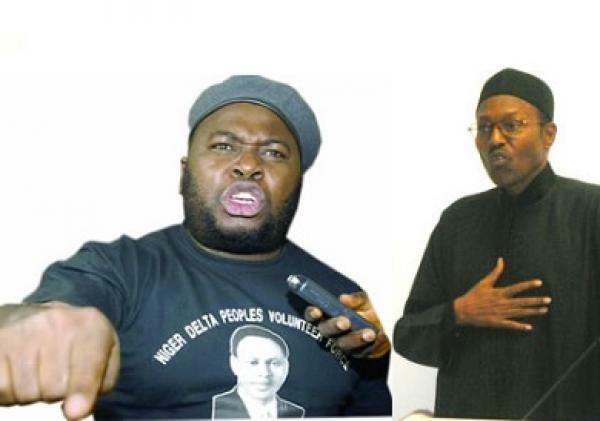 Former Niger Delta militant leader, Mujaheed Asari Dokubo has weighed in on the alleged $90 billion fraud charge levelled against Nigeria's former minister of Petroleum, Diezani Alison-Madueke. In a video published on social media platform, Facebook, Dokubo, branded President Buhari and his cabinet members as liars. He stated that if Madueke had looted $90 billion at the current exchange rate and returned it as widely reported, the government would not need to borrow from foreign institutions to finance infrastructural development across the country. Dokubo, who was visibly angry, accused Buhari of embezzling N30 billion naira from the oil sector when he was petroleum minister and head of the PTDF fund under the Late Abacha regime. He also lampooned music artists, Davido and Donjazzy for condemning the former minister without first seeking the truth. “Nigeria is now a country of liars, ruled by liars, and managed by liars. How can somebody just wake-up and claim Diezani embezzled $90 billion? Multiple that amount of dollars with the value of one dollar to the Naira and tell me what the sum is. How much is the Nigerian budget? If Diezani actually embezzled such an amount of money and has returned the loot, why is the federal government still trying to borrow money for infrastructure development?